Blog to End the Occupation: Urgent Call to Action for Khader Adnan, in "Immediate Danger of Death"
Urgent Call to Action for Khader Adnan, in "Immediate Danger of Death"
Al Dameer Association for Human Right, Al Mezan Center for Human Rights, and the Palestinian Centre for Human Rights Issued the following Urgent Call to Action several hours ago for Khader Adnan, who is now on his 65th day of hunger strike. We call upon you to exert all possible influence and pressure on the Israeli Authorities to immediately release detainee Khader Adnan, whose life is in immediate danger as he has been on a hunger strike for the past 64 days. The arbitrary detention of Adnan commenced on 17 December 2011, when he was kidnapped from his home in the northern West Bank village of Arrabe, during a nightly raid carried out by Israeli soldiers. His two young daughters and pregnant wife were witness to this. Adnan initiated his current hunger strike on 18 December, protesting being detained without charges or being notified of the reason for his detention. He is being detained without charge or trial under a four-month administrative detention order, which could be indefinitely renewed for the duration of six months. For the past decades Israel has applied the procedure of administrative detention on a large scale, systematically imprisoning thousands of Palestinians, as a tool of political oppression. This is a grave violation of the fourth Geneva Convention as well as the Convention on Civil and Political Rights, and the Convention Against Torture. Khader Adnan has the law on his side. His life should be saved and the law should be respected. We urge you to make direct contact with the responsible Israeli officials and authorities, demanding the immediate release of Khader Adnan, in a critical attempt to save his life. Finally, please adopt this call and spread the appeal from your respective capacity and/or organization. It is time to act. Tomorrow might be too late. This call to action can be found online here. Ramallah, 19 February 2012—Israel’s High Court of Justice has today scheduled a petitions hearing regarding the case of Khader Adnan to take place Thursday, 23 February 2012 at 11:30am. The petition was filed by Khader Adnan’s lawyers on 15 February. The High Court of Justice was provided with a detailed medical report prepared on 14 February by an Israeli-accredited doctor on behalf of Physicians for Human Rights-Israel (PHR-Israel). 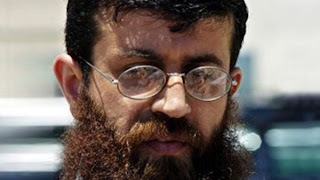 Despite the elaborate medical report, which confirmed that Khader Adnan “is in immediate danger of death,” and that “a fast in excess of 70 days does not permit survival,” the Israeli High Court appointed the petition session for 23 February with no guarantees that a decision will be made on the same day. By then, Khader Adnan—if alive—will have reached the 69th day of his ongoing hunger strike. Khader Adnan’s original appeal hearing took place on 9 February in a room at Zif Medical Center in Safad where Khader was hospitalized due to his medical condition as resulting from his ongoing hunger strike. In disregard to his medical condition the Court of Appeals delayed its decision until 13 February 2012, which marked Khader’s 58th day of his ongoing hunger strike. The decision statement rejecting the appeal issued by Judge Moshe Tirosh stated that Judge Tirosh found that the administrative order decision based on the “secret evidence” was balanced, and that Khader had only himself to blame for his medical condition owing to his choice to continue his hunger strike. Apply pressure on the government of Israel to conform to international law and end its unlawful practices of arbitrary imprisonment, and release all Palestinians held in administrative detention.